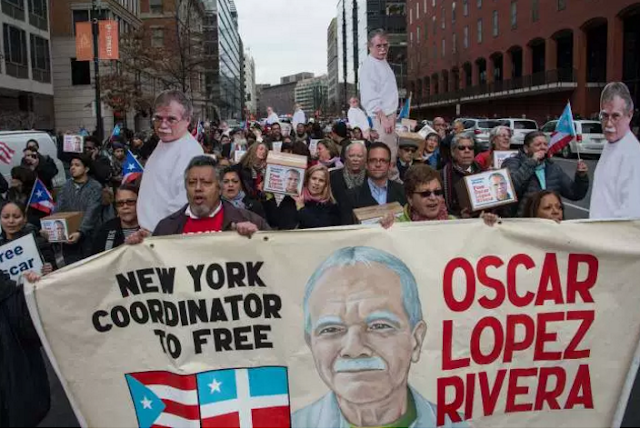 74-year-old Puerto Rican nationalist, Oscar Lopez Rivera has been released from house arrest after 36 years in custody, in a case that transformed him into a martyr. Lopez was considered a top leader of Puerto Rican militant group that said it was responsible for more than 100 bombings in several U.S. cities and Puerto Rico during the 1970s and early 1980s. The attacks killed six people and wounded scores. He wasn't convicted of any role in the bombings. But those who lost loved ones held him responsible.